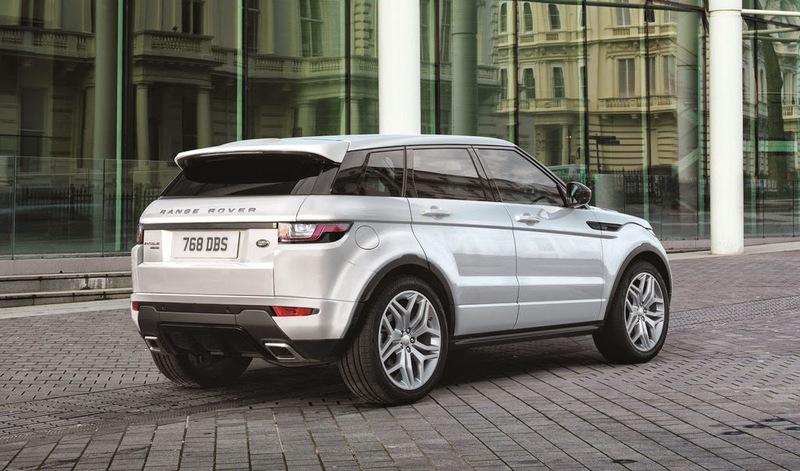 Range Rover Evoque SUV 2015. 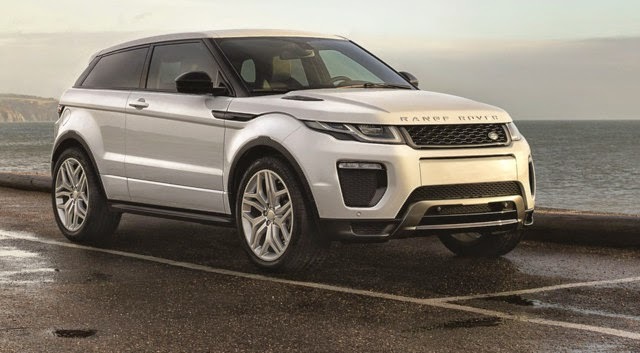 The winning formula of the Range Rover Evoque will not change for 2015. His manly style is not upset in this very light facelift, although slightly more sporty, but the city Land Rover welcomes a new 150/180 hp diesel much more sober. 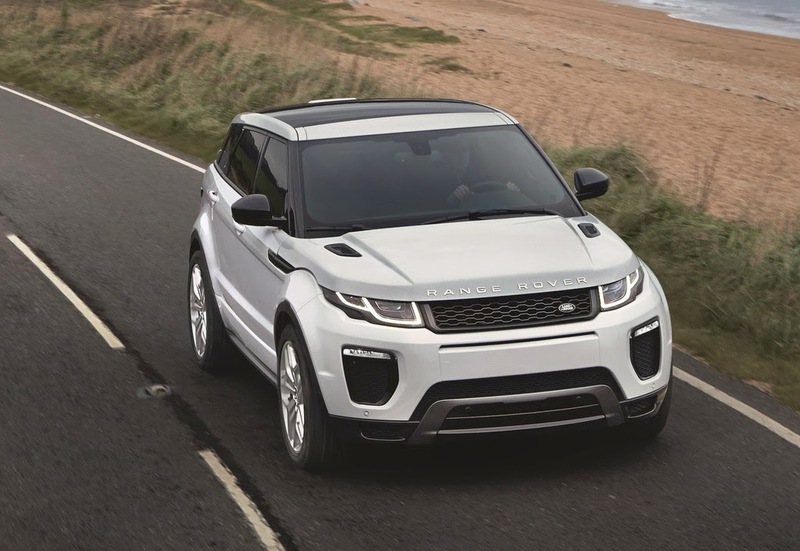 Considered one of the finest specimens in its segment, the compact SUVs, the Evoque is very difficult to visually edit without taking away its presence. However, Land Rover had to breathe a little bit of freshness after 4-year career, through minor changes in model 3 and 5 doors. The overall shapes do not change, except arias taken before the highest building on the sports models SVR. 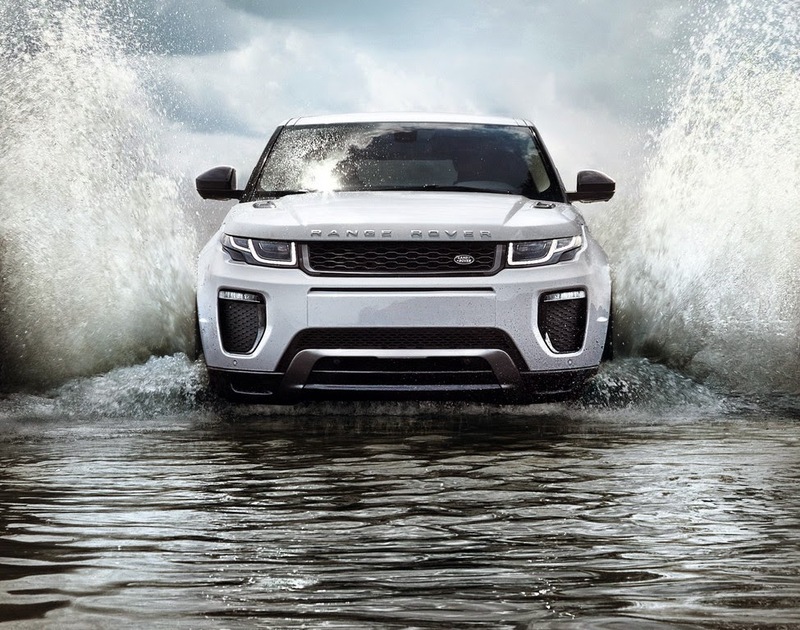 The grille adopts a more sober drawing grid honeycomb - black, gray or silver to choose from - how Range Rover Sport, diodes optic taking the look "double U" trendy. Moreover, the mirrors are curved slightly, the lateral opening passes like the gloss black rear diffuser block, the lights taking the same aesthetic theme that the headlights. 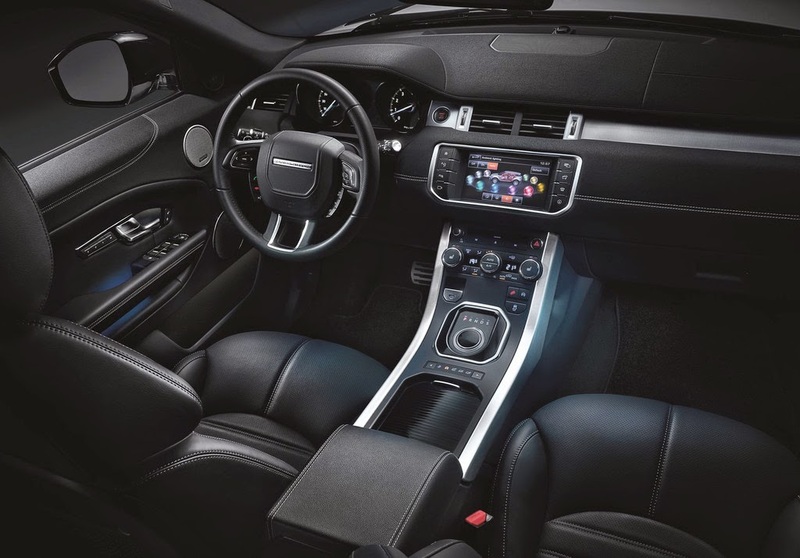 The interior is still very present, is not affected by this restyling, although new colors (3 exactly, or 13 in total) and a new infotainment system make their appearance. Customization is provided in parallel over 13 sets of wheels 17 to 20 inches, three roof colors (black, white and gray) is the catalog, two new paintings adding. While the range now includes 5 finishes - Pure, SE, HSE, HSE and HSE Dynamic Autobiography - this is the new family of engines Ingenum in the news under the hood. As the Jaguar XE, it starts with the 2.0-liter 4-cylinder diesel, replacing the previous blocks by 2.2 liters. The first eD4 150 horsepower and 430 Nm (+50), but uses considerably less, 4.2 l / 100 km against 4.9 l / 100 km previously on version 2 wheel drive, the CO2 emissions are reduced by 129 to 109 g / km. The version TD4 180 horsepower 4WD takes the place of the previous version 190 hp, but the torque is higher (430 against 420 Nm) and remarkable sobriety (4.8 l / 100 km against 5.7). In essence, the 4-cylinder 2.0-liter turbo 240 hp / 340 Nm is always offered with consumption (7.8 l / 100 km - 181 g / km CO2) and performance (0-100 km / h in 7, 6 s, 217 km / h peak) identical. 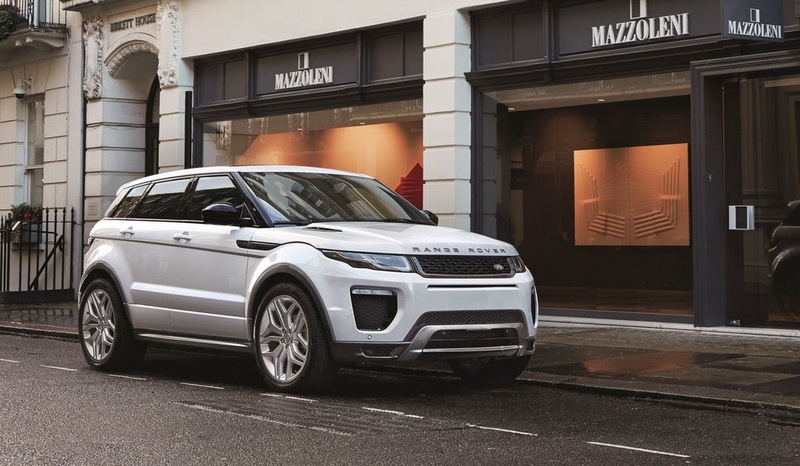 Land Rover has not entered a launch date for the Range Rover Evoque restyled to be presented on March 3 in the press statement of March 5 to 15 at the Geneva Motor Show. 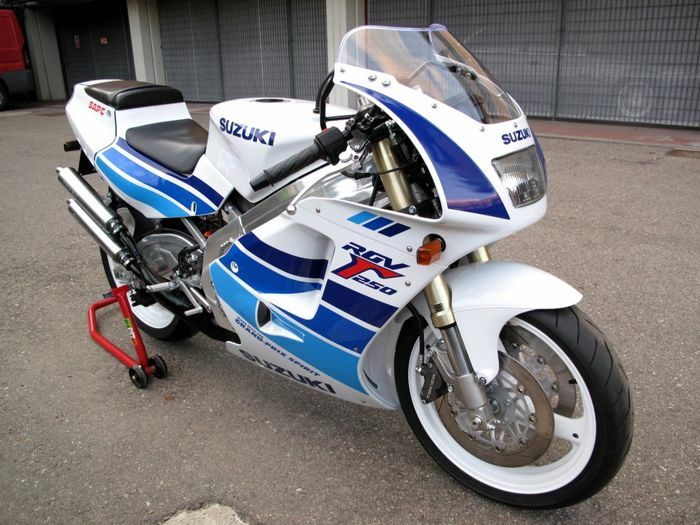 The leading price should be around 34,000 euros.